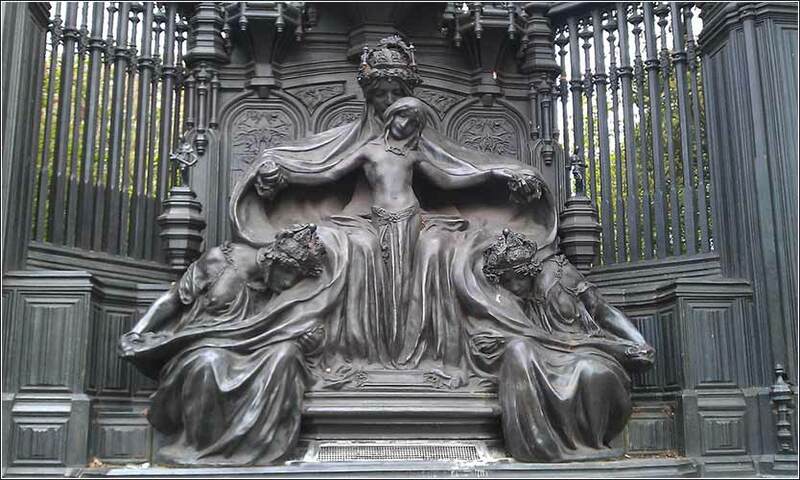 The Queen Alexandra Monument (Sir Alfred Gilbert, 1932) in London shows the Queen embraced by Faith, Hope, and Charity. 493 people in our community are currently praying with you. Oh my God, You know my weakness and failings, and that without Your help I can accomplish nothing for the good of souls, my own and others'. Grant me, therefore, the help of your grace. Grant it according to my particular needs this day. Enable me to see the task you will set before me in the daily routine of my life, and help me work hard at my appointed tasks. Teach me to bear patiently all the trials of suffering or failure that may come to me today. "Love" is a translation of the Greek word "agape" (pronounced with three syllables, uh-gahp-ay); but unfortunately, agape cannot be translated into English with very much accuracy. "Love" is about the best we can do. The King James version used "charity" to translate agape, which is closer in some ways. But the strong association of charity with giving money to the needy makes it inaccurate, as well; in fact, earlier in the chapter Paul tells us, "If I give away all I have, and if I deliver up my body to be burned, but have not love, I gain nothing." So 1 Corinthians itself tells us that agape is something more than "charity" as we generally use the word today. So what, exactly, does "love" mean in this context? It is an important question, for Paul calls it the greatest of all Christian virtues, and John goes so far as to say, "God is love." If you read through the entire chapter, Paul actually defines it, in great part. It includes patience towards others, kindness, and a lack of superior feelings or boasting — humility, in other words, in both thought and actions. Since it is "never rude", it is polite. Since it "never insists on its own way", it is accommodating. It isn't irritable. It isn't resentful, which is a big one, for we can form resentments in myriad ways. It never rejoices at wrongdoing. So when we find ourselves thinking or says, "it serves the son-of-a-***** right" or "he had that coming", it should give us pause. This might be something all of us need to work on. None of us is perfect, but Paul's eloquent statement of the importance of Christian love is a goal which we must constantly keep in mind and work toward, every day. The Blue Virgin, a famous stained glass window in Chartes Cathedral, France. 1 Corinthians 13:13: And now abide faith, hope, and love, these three; but the greatest of these is love.